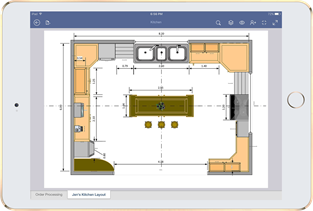 Well the secret is out … Microsoft are looking for beta testers for the initial release of Visio on iPad. Note, that this is view only, but it should offer a more faithful graphical representation than any third-party product. Plus, it has layer control! There’s no word on when the app will be generally available, other than “we’re working on it.” However, the team has confirmed that the Insider program will extend outside of the original 2000 in the future. You can sign up for the Visio on iPad Insider Program using this link. It requires a short survey, and you must be part of an organization. Very cool. Does this mean a version for OSX could follow? Not that I am aware of, but I am not Microsoft.